Neil Adcock, consulting partner at Bis Henderson Consulting looks at the seven critical steps to successful warehouse automation. Omnichannel retailers are turning their attentions to warehouse automation. The reasons may be all too apparent, but the path to a successful project is not so obvious. Why are omnichannel retailers suddenly taking an interest in automating their warehouses? Until very recently the UK retail sector had tended to shy away from making such investments, preferring instead to take on a large labour force to manually process orders. However, that thinking appears to be changing – and rapidly so. A number of leading retail brands are now actively engaged in adopting high levels of automation. The reasons are clear to see, but the right approach needs to be taken if agility and operational performance are to be leveraged to full advantage. Several significant factors have come into play to alter the balance between the use of man or machine. Firstly, shoppers are shifting online in a big way. The Office for National Statistics estimate that consumers spent £1bn a week with UK online retailers in February -up 20.7% on the same month last year. Internet shopping now accounts for 15.3% of all retail spending. This massive and continuing growth in online purchases, with its requirement for single item picking, packing and despatch, as well as increasing SKU proliferation, has placed a huge strain on finite labour resources in the all-important logistics hot spots. Even outside these areas, the pool of available labour is diminishing fast. The introduction of the National Living Wage in April 2016 has also significantly increased costs for highly staffed operations. Brexit is another factor weighing heavily on the minds of those managing labour intensive operations. The big question is, will the availability of cheap labour from Europe ebb away in the wake of tighter border controls and the lacklustre appeal of a weaker currency? Then there are the competitive pressures within the market place. Consumers expect ever-faster delivery, greater choice and multiple options for pick-up, home delivery or returning goods. Critically, the leading retail brands are choosing to actively compete on service, with later and later cut-offs and same-day delivery options. Simply put, manual fulfilment operations are at their limits and the only sensible option is to introduce some degree of automation or mechanisation. While a fully automated warehouse can provide significant cost benefits, it is not always the best approach. For those businesses lacking the throughput, suffering restricted access to capital or where growth trajectory and product mix are uncertain, the targeted application of automation technology to key operations is a good option. 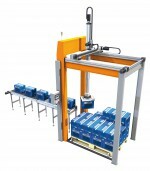 Labour intensive processes such as picking, sorting and packing lend themselves well to focused automation. The use of carton erectors, auto-bagging machinery, putwalls and conveyor runs can positively affect the cost per single being processed. More integrated automation can certainly provide impressive bottom-line benefits and may take the form of semi-automated pick stations, automated packing and fast sortation systems – pouch sorters too can provide flexible storage, buffering and transit benefits. Key questions are: What is the forecast growth? Will any increase in volumes be across particular SKUs, involve more SKUs or impact other product types? What effect does peak trading and promotions have on throughput? Accurate scenario modelling is of critical importance as it helps determine the robustness of any proposed solution to changes in volume or depth and breadth of stock. How do different growth patterns impact the proposed modularity or expansion potential of the solution? It is important to consider, not only current service levels and cut-offs, but also future alternatives that may offer competitive advantage. Service levels often suffer at peak, so it is critical for the system to be able to process the volume within the available window. Always, overlay alternative growth rates to ‘stress test’ solutions. How will the automated systems fit within the facility? Will manual areas be impacted? Are there enough doors? How will any extension fit within the proposed plot? All simple questions, but again, these must be clearly thought-through to ensure the success of the project. It is essential to engage with the wider business to determine future supply chain flows and the requirements of the facility – not everything may be needed on Day One of the operation. Examples may include the implementation of cross-dock operations for key lines, returns streaming, inbound quality control and supplier conformance. Future ways of working and detailed processes must be thoughtfully incorporated within any design. This will require close co-operation and co-ordination with the automation supplier to ensure that each step of the process is validated, and future changes are understood and catered for. This equally applies to the layout itself, ensuring for example, that sufficient buffering conveyor is in place to allow for downtime or stoppages. This step should consider which warehouse management system should be used, how it will integrate into the ERP and who will be responsible for the infrastructure. Importantly, will the control room have access to the necessary levels of data to maximise the efficiency of the operation? A key element of the project is the commissioning phase. Thought needs to be given to ensuring that sufficient time and budget is applied to testing the system, transitioning stock and to ensuring that realistic figures for productivity are factored in. There are many potential dangers. Failure to fully understand the dynamics of the business, its growth expectations – in terms of volumes, SKUs, product types – and the impact of peak trading and promotions on the warehouse, can result in an inflexible and under-performing investment. Importantly, the right questions need to be asked, but operational managers, distracted with the essential every-day running of the business, can often find themselves too short of time and too close to the operation to be able to undertake a full analysis of future needs. Expert advice and guidance from experienced consultants, well-practiced in the application of a wide range of automated warehouse solutions, can help ensure a successful project –avoiding the anguish of a sub-optimal investment. Advanced automation specialist HEPCOAUTOMATION reports it has been appointed as a key Omron system integrator partner offering superior application expertise for customers wanting reliable automation to drive down costs.